Description:The camera is looking north east from the end of Vicarage Road at the entrance to Hartshill Park and Nature Reserve. 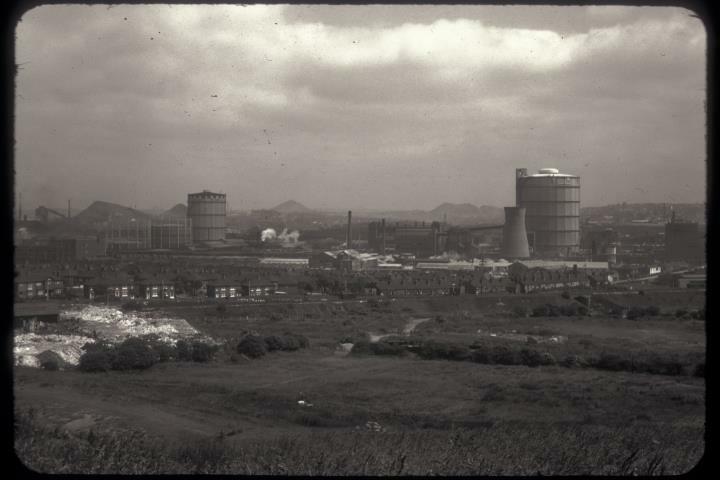 The middle of the photograph is dominated by the gas holders and buildings of Etruria gasworks on Etruscan Street. 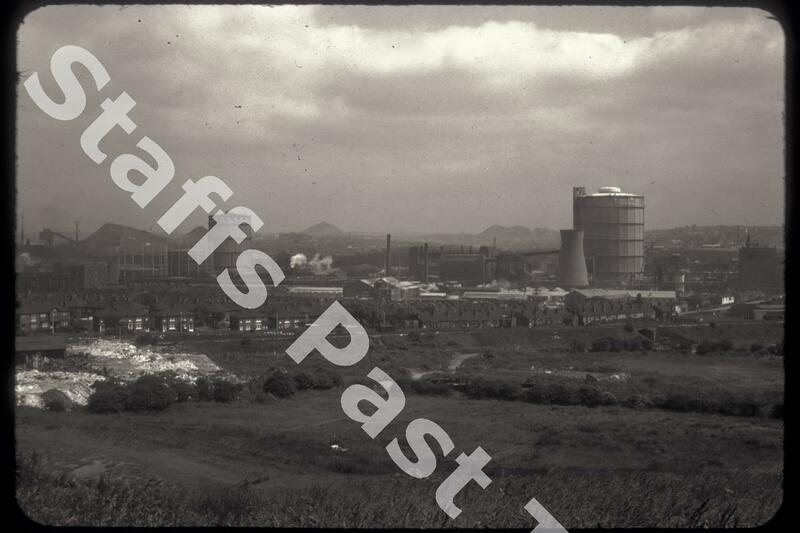 In the background are several colliery spoil tips and on the left edge, Shelton iron and Steel works. On the right hand edge is Hanley. The two spoil tips between the gas holders are Sneyd Colliery (to the left) and Hanley Deep Pit (to the right). Both have been landscaped and form Sneyd Hill Park and Central Forest Park. The steelworks site and tips became the Garden Festival site in 1986 and is now Festival Park. The gas works has been demolished. In the lower left corner are waste (shraff) tips of the Diamond Clay Company works and the line of houses running across the photograph are on Shelton New Road. On the embankment just in front is the Stoke to Newcastle and Market Drayton Railway line. The bridge on the right carries the line over North Street. The long building on the left hand edge, above the houses, is Twyford's Etruria works. The main railway line and Trent & Mersey Canal run between the gas works and Twyford's factory. The A500 (Queensway) more or less follows this route today.